From 1831 onwards, and under the auspices of the Archaeological Society at Athens, the archaeologist Kyriakos Pittakis would now and then undertake searches in the area of the Pnyx. 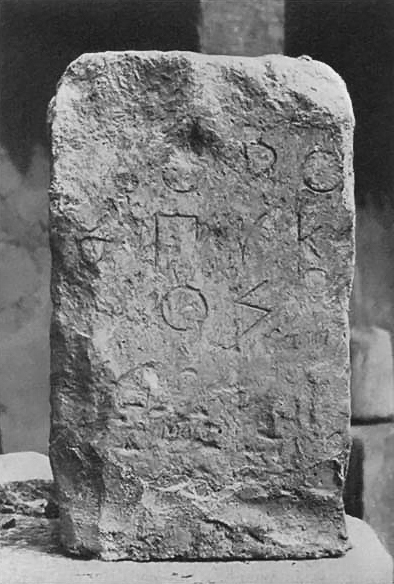 These brought to light a great number of inscriptions, the most important of them being a horos stone delimiting the public space in the area of the Pnyx (IG I3 1092). Thanks to Pittakis’ discovery the identification of the Hill with the spot of the Assembly Place is also attested by epigraphical evidence. Rangavis 1842–1843, 174; Pittakis 1852, 683, nos. 1134–1137; Pittakis 1853, 774, no. 1290; Petrakos 1987, 29; Peppas-Delmousou 1996. The inscription IG I3 1092.